Replacement: None. We are no longer carrying these buttons in our catalog. This page is for reference only. 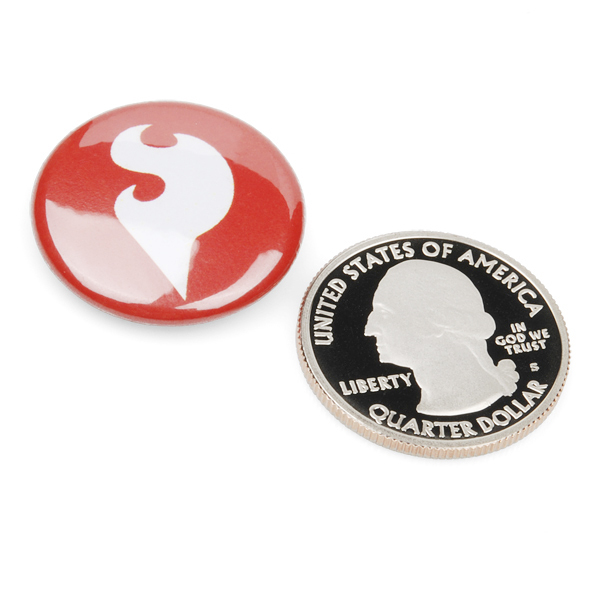 Okay, so we call them lab coat buttons because they look fantastic on our SparkFun lab coats, but really they look fantastic anywhere. These pin-back buttons are the perfect pieces of flair for your maker apparel, whatever that may be. 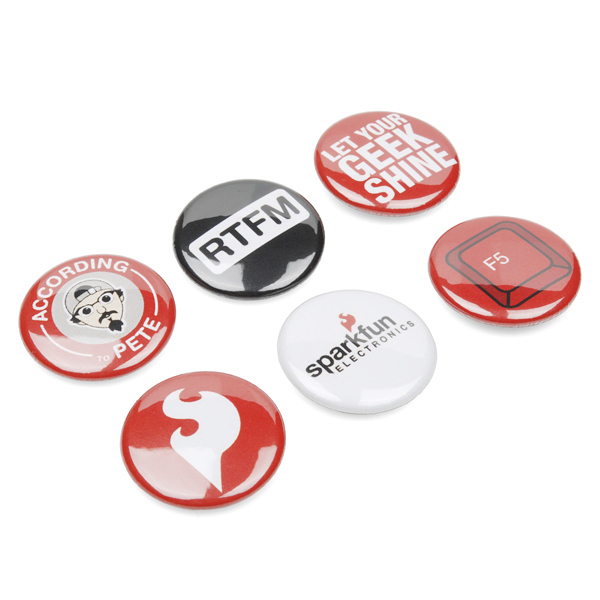 Each one is emblazoned with a SparkFun-y graphic including the dreaded F5 button in celebration of Free Day and the According to Pete logo. Note: Pete really *really *enjoys seeing his face plastered on things so make sure to wear your According to Pete button with flamboyant pride. nadie en Sparkfun habla espaÃ±ol.